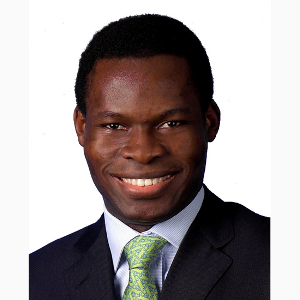 William Nkontchou is a Director of Emerging Capital Partners (ECP). Mr. Nkontchou focuses on deal sourcing, investment appraisal, transaction execution, and portfolio monitoring. Prior to joining the ECP team in 2008, Mr. Nkontchou worked in London for Sindicatum, a corporate advisory boutique, where he focused on sourcing and executing principally private-equity led transactions in West, Central and Eastern Europe. Mr. Nkontchou began his career with General Electric in the Technical Leadership Program and Corporate Audit Staff Program working for various GE divisions including GE Healthcare (France/South Africa), GE Capital (England), Corporate Sourcing Initiatives (England), and CNBC (USA). In 2001, he joined Merrill Lynch Investment Banking in London where he focused on advising major European clients in the consumer/retail sector on various transactions including mergers and acquisitions, equity and debt financing, and leveraged buyouts. Mr. Nkontchou holds an MBA from Harvard Business School, an MSc in Science from the Ecole Polytechnique, and an MSc in Engineering from the Ecole des Mines de Paris. Mr. Nkontchou has served on the boards of Atlas Bottling Corporation (Algeria), Thunnus Overseas Group (Côte d’Ivoire and Madagascar), and Oragroup (West and Central Africa). He is a citizen of Cameroon.